Also known as the RHODES 38. 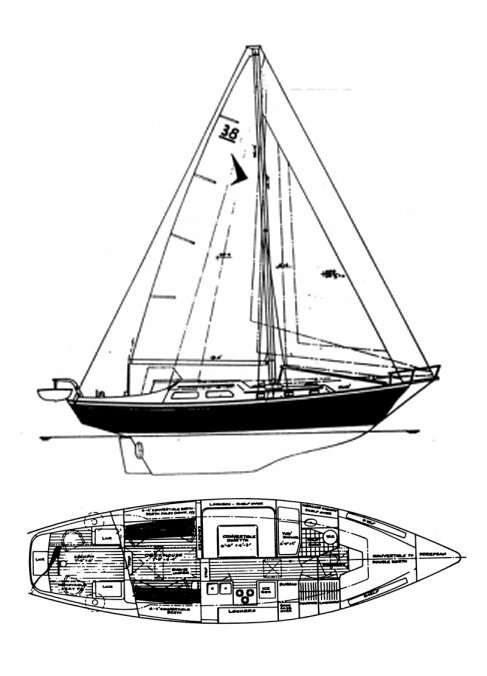 Sloop, cutter or ketch. (Short and tall rig) Bowsprit was an option. Based on the earier RHODES BAHAMA (1964).